Chery is targeting Europe with the Exeed TX SUV. FRANKFURT -- Chinese automaker Chery Automobile has picked Germany to be the bridgehead of its coming push into Europe. Chery claims to be China's largest automobile exporter. The company intends to compete at eye level with the world’s major automakers as soon as possible, the automaker said. "If Chery is to become a global brand, we need to go to Europe," said Chery Chairman Tongyue Yin. Starting in January, the new limited-liability subsidiary Chery Europe GmbH will begin operations in a development and design center in Raunheim, a suburb of Frankfurt next to the country's largest airport. Its main task will be preparing the launch of models for the European market to be sold under the Exeed brand starting after 2020. 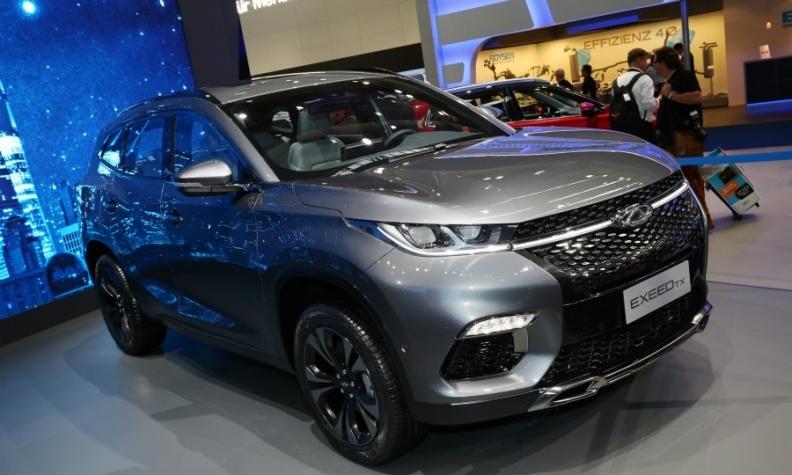 Chery said Exeed models will be competitive with those offered by the leading European automakers in terms of quality, design and technology. The Raunheim center will focus mainly on design, development, marketing and sales. In the initial phase, Chery Europe aims to employ roughly 30 to 50 employees by the end of next year in research and development. Chery introduced its first offering for European markets, the Exeed TX compact SUV, at the Frankfurt auto show in September last year. "We presented ourselves as a brand at the IAA a year ago. Now we will execute on our plans for Europe," Yin said. Chery is not the first Chinese automaker to go to Germany. Borgward, a German brand that went out of business in the early 1960s, has been reborn with Chinese backing and began European sales of its Chinese-built BX7 SUV earlier this year. Geely's Lynk & CO plans to open sales outlets for its 01 crossover, with Volvo underpinnings, in Berlin and San Francisco in 2019.